EE is evoking all of its gratis Power Bar chargers because of a fire protection danger, and presenting consumers a £20 voucher in return. In a declaration EE said, "We are taking this action because we are aware of a very small number of further incidents where Power Bars have overheated in circumstances that could cause a fire safety risk." The suggestion from EE is to discontinue using your Power Bars instantly and returns them to an EE as soon as probable. 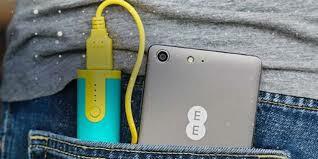 You'll then obtain a £20 EE voucher, the similar worth as a charger. This information approaches after EE remembered a few Power Bar chargers in August this year. At the occasion, EE promised consumers it was just those with the model number E1-06, however as it turns out, the danger is far more extensive.